Award-winning author and musician Johnette Downing invites children of all ages to go wild in the rainforest with dozens of exotic animals in this colorful trek through the Amazon. 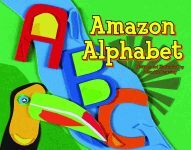 This A to Z adventure includes fascinating facts about some of the world’s most unique creatures, from woolly monkeys and pink dolphins to electric eels, ocelots, jaguars, and more. It is commonly believed that the submarine was first used in battle during the Civil War. However, America’s best-kept secret during the Revolutionary War was bobbing above the surface in New York Harbor the night of September 6, 1776. The craft was a dream of “Yankee tinkerer” David Bushnell, a recent Yale graduate in his mid-thirties who had studied math and science. He built the world’s first submarine in a shed behind his house. Author Doris Fisher traces the journey of camels from Africa to Texas in 1856 for use as the very first US Camel Corps. 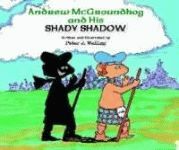 Young readers will delight in the illustrations as they learn about this little-known part of American history. Although the camels initially were not accepted by the locals, the people of Texas came to respect their strength and endurance as they transported US Army supplies through the desert. It’s time to decorate the árbol de Navidad with Arturo and his grandmother, Abue Rosa, in this bilingual Christmas story. Children will learn Spanish vocabulary as well as the lessons of responsibility and forgiveness. Grandparents and parents alike will take pleasure in imparting this message about the importance of intergenerational relationships and family memories. Abue Rosa shares with Arturo the family story surrounding each ornament as it is hung. But what happens when Arturo plays with—and breaks—a glass bird? Journey through Arturo’s family history to find out in this unique and touching holiday tale.